The scope of work consists of design consultant services for the relocation of several facilities to City-owned property at 14 Interchange Court in Savannah, Georgia. Hussey Gay Bell is providing architectural, interiors, structural, mechanical, electrical, plumbing and civil design services. Services include all aspects of site and architectural planning and design including perimeter fencing, site security, parking areas for trucks, heavy equipment and vehicles, traffic plan, storage sheds, equipment storage, refueling area, vehicle wash areas, utilities including water and sewer systems, building/structure locations, power, lighting plan, communications, stormwater management systems, roads, entrances, wetlands permitting and mitigation, railroad, and DOT encroachment permitting, landscaping, etc. Several departments will be housed at this location and as such, renovated buildings will be designed to be flexible and able to accommodate customized needs. The campus will include the following facilities: a two-story, 67,000 SF administration building; a 23,000 SF operations building; and renovation of an on-site, existing 13,500 SF warehouse. 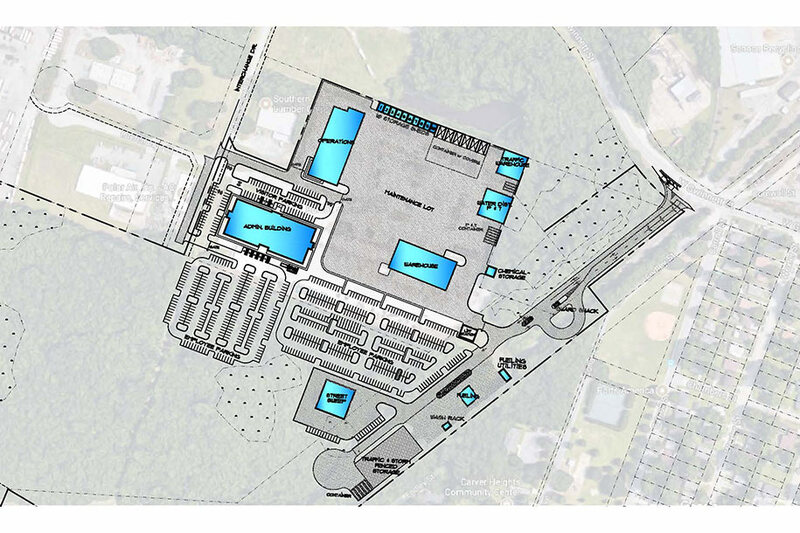 Additional structures include a fueling station, security office, street sweep building, vehicle wash, storage sheds, sanitary pumping station, off-site sewer force main, and off-site water mains. The City of Savannah’s Facilities at Interchange Court is a 103,500 SF+ public, multi-use property that will combine several City departments in one location, providing staff and the community with the convenience of multiple resources in one location.